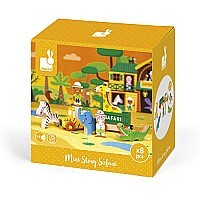 Janod Mini Story-Safari lets your little explorers Immerse themselves a fabulous jungle expedition! 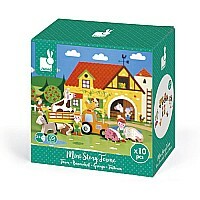 Hunt and rescue animals with wooden block adventurers. The people figures are approximately 2in. (5cm.) 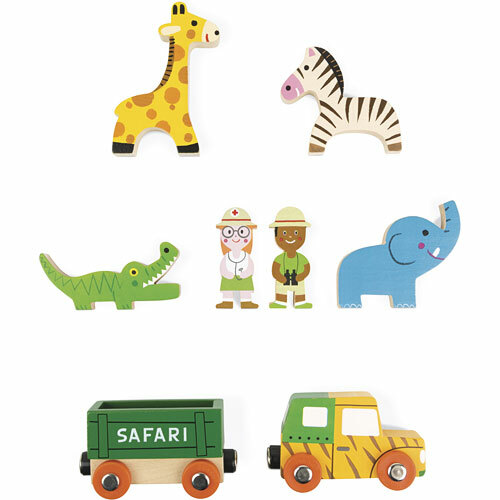 tall, and the animals range from 1.75in. (4cm.) to 3in. (8cm.) tall. There's even a jeep and trailer which stand 2in. (5cm.) tall, connect with magnets and can be used to cart around the animals. Compatible with other Mini Story figures and a great addition to any building block set, these awesome adventurers take your child's imagination to new levels. Includes wooden figures of 2 vehicles, 2 people and 4 animals. 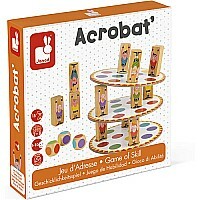 Recommended for children 3 years of age and older.